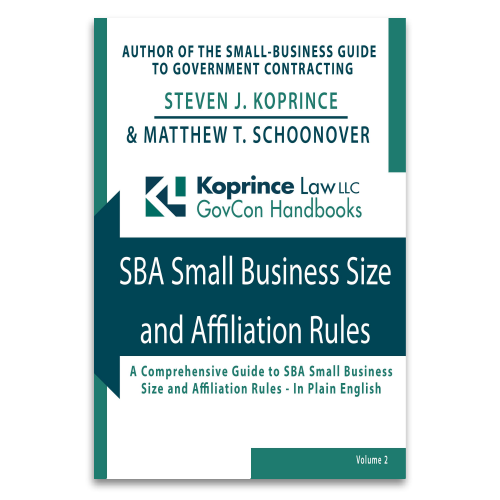 In last week’s edition of the SmallGovCon Week In Review, we referenced a FAR update that has important ramifications for prospective small business government contractors. This rule is potentially important enough that we figured it deserved its own stand-alone SmallGovCon post. So what’s so important about this new rule? In a nutshell, it clarifies that offerors must be registered in SAM at the time of bid submission to be considered for an award. We’re sometimes asked “when does a company have to be registered in SAM?” It’s a relatively simple question, but the answer isn’t clear due to two conflicting FAR provisions. As currently written, FAR 4.1102(a) generally requires prospective contractors to be “registered in the SAM database prior to award of a contract or agreement[. ]” But FAR 52.204-8(d) required an offeror to complete the SAM representations and certifications as part of its offer—meaning, by extension, that the SAM profile had to be completed before the offer was submitted. In other words, one FAR provision required offerors to be registered in SAM before the award, while another basically required them to be registered at the time of proposal submission. The FAR Council has now corrected this inconsistency. In a final rule published last week, the Council amended FAR 4.1102 to require offerors to be registered in SAM at the time an offer or quotation is submitted. This new requirement takes effect October 26, 2018. Importantly, the commentary to this final rule makes clear that the registration requirement also applies to joint ventures. “An exception to SAM registration requirements to provide for registration of joint ventures after submission of offers but prior to award is not practicable,” the FAR Council concluded, “because the contracting officer needs the annual representations and certifications to evaluate the offers.” Thus, the Council recommended that joint venture agreements should be in place more than 48-72 hours in advance of proposal submission, to account for the time to complete the joint venture’s SAM registration. In my mind, however, 48-72 hours is underestimating the time it often takes to prepare and agree to a joint venture agreement, organize the joint venture under state law, obtain an EIN, DUNS number, and CAGE Code, and then complete the SAM registration. 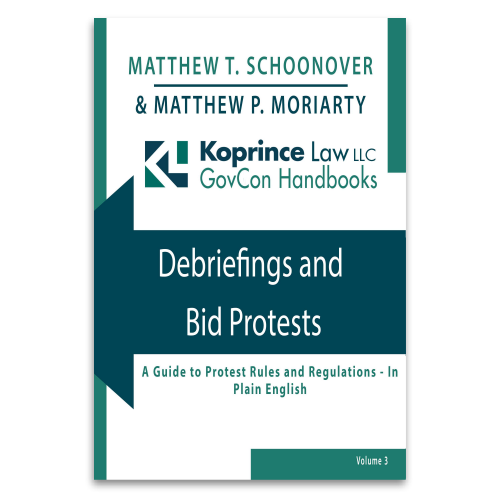 In our practice, we recommend that potential venturers take care of these tasks as soon as possible after the solicitation is released—after all, if you can’t timely get an entity registered to compete for a bid, what’s the point of spending the time and money to prepare the bid in the first place? Overall, the changed FAR rule makes sense: when you think about it, the point of a SAM registration is to provide important background information about a prospective awardee. It makes sense to have this information submitted to an agency early in the process, so that it can be considered as part of the evaluation. Keep in mind, too, that an existing SAM registration needs to be accurate and up-to-date. It’s a common misconception that registrations only need to be updated once a year. Not so: the FAR requires that registrations be updated at least annually, but as frequently as needed to ensure that it’s current, accurate, and complete. What’s the gist? Effective October 26, every offeror (including joint ventures) must be registered in SAM before they submit a bid under a federal procurement. SAM Registration: What The Heck Is An "Immediate Owner?" This entry was posted in Statutes and Regulations and tagged FAR, FAR 4.1102, FAR Council, SAM Registration. Bookmark the permalink.